Choosing the right outfit for your next yoga class just became significantly easier. One of the hottest new fashion trends for workout clothing is an unexpected matching trend that allows you to wear the same color from your head to your toes. Yogis adore these new one-toned outfits because it makes choosing individual items much simpler and has a great influence on their yoga practice. There is no more guesswork about whether an outfit matches or if the pieces are going to look good together with these one-tone choices. Instead, you can stroll outside in style and with greater confidence that you are wearing an outfit uniquely suited to you. Dressing in all one color can be a great way to bring certain energies into your daily life and alter your prana. How can you start to incorporate this unexpected matching trend into your yoga outfits? Take a look at our top suggestions below! If you aren’t confident in your ability to find coordinating pieces from multiple shops, you can purchase a full athleisure suit. These should come with yoga leggings or workout pants, as well as a top in the same color. Purchasing your clothes from the same shop gives you the ability to ensure a closer match between the colors and the styles. Just because you committed to a bright red outfit doesn’t mean you can’t have any other color with your yoga clothes. You can break up some of the colors on your one-toned outfit by using accessories such as a charcoal grey handbag, a long statement necklace, or neutral-colored shoes. These accessories are a great way to keep your color from becoming overwhelming to the eye. Are you hesitant to try this trend? Creating a block of color from your head to your toes is quite a commitment. Some yogis are still hesitant about this fashion-forward selection, so they might want to try breaking up their color with pattern. Opting for clothes that have a slight pattern but are still the same color is important to getting this look exactly right. Consider looking for a lace top that comes in the same shade as your yoga pants. Alternatively, you might want to wear a big knit sweater to add a little visual interest. Wearing a one-tone outfit can be overwhelming as it is, so you should try to avoid adding other items that are also likely to draw attention. Simplicity tends to be the key to making these yoga outfits work well. Don’t forget to keep that at the forefront of your attention when selecting accessories and shoes to go along with your one-toned outfit. Wearing all one color can be a great way to introduce some prana energy into your next yoga session. You can take advantage of this new fashion trend to help you move a little deeper into your practice this week. My use of spices might be pretty basic but I try to incorporate it into various aspects of our lives, not only cuisine. For example, I have managed to crop plenty of thyme – and making it into a lotion has seemed like a wise idea. It is known to cure stomach ache and calm the nerves and is moreover known to eliminate viruses and bacilli. It is a great lotion to use on the bottom of my feet when extremely tired or feeling a cold coming to avoid it. I even rub a little on my baby’s chest and back when he has a high temperature. Also, a syrup with an addition of thyme is great for beating the cold. Thyme buds placed underneath a hot water bottle heat up the chest and consequently cure a cold. It is even wise to make a bath of it as it’ll revitalize you. It blooms brightly pink and is nice to have in sight, but it is rather difficult to grow. It does not grow in moist places, rather on dry and shallow ground with lots of sunlight. But the time period of it blooming is quite extensive, as it grows from May through September – might as well take advantage of it. Thyme is moreover a great addition to your cuisine as it compliments different dishes from fish to soups and salads. Another healthy plant is brightly yellowy-orange calendula. It is believed to be weather prognostic, for when it doesn’t bloom in the morning, it may mean that it will be cloudy and rainy throughout the day. 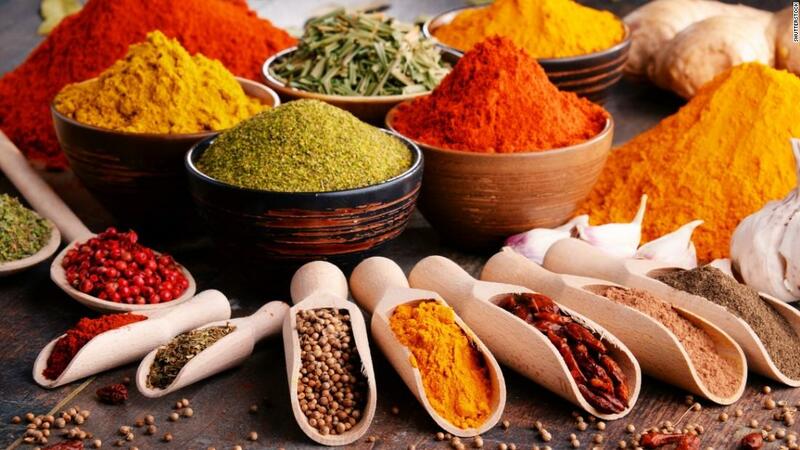 It has the ability to clear blood and eliminate viruses from the body. It even helps with jaundice. Its medicinal properties are also beneficial when you’re having an intestinal inflammation, as its tea works soothingly. Also, if you want to strengthen your sight, try rinsing them with calendula. Using its juice helps cure skin warts. The only thing you need to do to get a lotion out of it is to throw a couple of handful of calendula into a heated fat (I like to use ghee butter for it, but other types of fats would do just great, too). It moreover helps eliminate Varicose veins, freckles, and fungi. Yet another basic, super aromatic and versatile spice is rosemary. It is an evergreen bush with many health benefits. It stabilizes heart pulse, it raises blood pressure and strengthens the heart. You can steep it in different oils, wine, or teas, and it brings out its sweet strong aroma. To add, it also has healing effects while steeped in luke water for a bath when you feel a cold coming. I hope these sparked an idea for you on how to either crop your own and use them to their health advantage or even ask your neighbors if you can make good use of theirs. I’m sure they won’t mind bring them a healthy lotion in return. 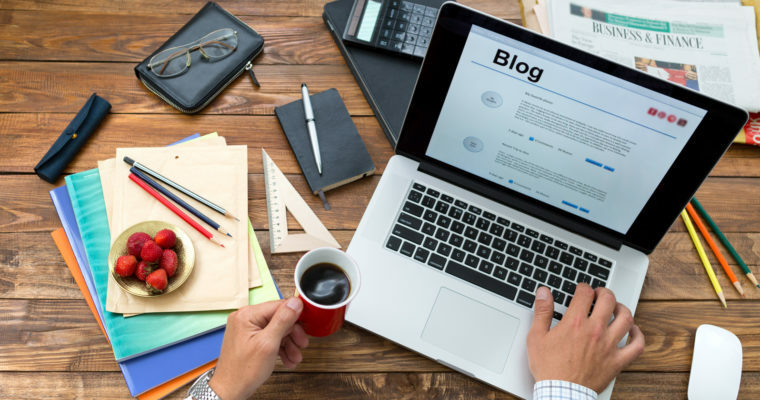 You are considering starting a lifestyle blog, but are not sure where to start. Workouts, healthy nutrition, and style might already be in your blood, and you just need a little direction of how to tie them all together. It will be your online diary, but now the question is how are you going to show it to the right public in order to build an engaging community. 1. Be transparent in your endeavors. Let others know up front if you’re selling or marketing a product. Transparency is the only way of gaining your customer’s trust. 2. Let your audience know who you are and who you aspire to become. Have a section telling your readers about yourself and why are you so passionate about what you do. They need to find common ground to at least virtually befriend you. 3. Navigating through websites has never been more hectic. Make the journey for your audience easy. Have a simple and clear menu bar and at least one search box. You want to rank high for different keywords related to your endeavors. Use the online tools available to you to seek out where your potential audience hangs. 4. Set a routine that works for you and gives them new content. Regularly. Browsing the web has come into our blood just like we eat, sleep and relax. If you’re selling something, you want to be there when your customers need your help. You can prepare for this by having an ample amount of information ready in advance. Similarly, you may use a certain program or software to set schedules on when you want to publish certain content. When venturing out on an online quest, routines matter. 5. And so does valuable content. It mustn’t be much. It can be a photo or two, maybe a mind map, an inspirational quote. Stand firm and build your brand. Brag a little too if needed. Hey, if you’re not going to do it, no one’s going to do it for you. 6. Be different. Tell your audience what differentiates you from the person trying to make ends meet on the tap right next to yours. Put yourself out there a little. At the end of the day, we make business with people. Business to customer is no longer only what the name proposes. It rather changed to human to human. 7. When possible be available to your readers. You got them to your site because they found a common thing that you are sharing. Or even better, you can help them solve their problems. Make sure you talk to them when they reach out to you. 8. Make them feel exclusive. I’ve never heard anyone say that they’re not proud to be a member of a Country Club. Offer free features to those who set sail with you. 9. Give, give and give. Then you can ask something in return. I mentioned human to human earlier, we need to know the person who we are making business with in order to feel secure in our decisions. In order to make decisions, we need selection. Don’t be the person who feeds business to your competition because you’re too lazy to act human. 10. Let them comment directly under your content. There will always be jealousy or discontent, don’t be afraid of it. If someone says something negative, your response can exceed and even strengthen your stance. Never, and please never, delete negative feedback, rather rise above it. Offer dissatisfied customers your apologies and something in return; possibly a discount on their next order or something of the same sort. Online presence is a funny thing. You might only get rewarded for being transparent and building a trusting community of followers. It is more of a marathon than a sprint. But if you’re passionate about something and seek ways to share your knowledge with others, the web is the perfect place for you to be. There are a variety of different types of yoga. Hatha is the most popular in the West and emphasizes the poses or asanas of yoga as a physical fitness routine over a more spiritualized traditional yoga. Vinyasa yoga is a derivative of hatha yoga. It is different in that it emphasizes moving with the breath as you move from one pose to the next. Vinyasa moves at a quicker, even pace, breathing in on upward movement and breathing out on downward movements. This creates an aerobic effect that can strengthen your heart and lungs and get the blood pumping. 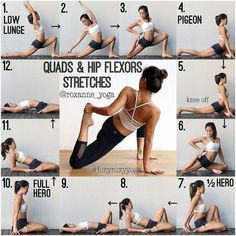 It can help increase muscle strength, flexibility and endurance. Stress levels can also be reduced as you focus on the inhalation and exhalation which triggers a relaxation response. As with other aerobic exercise, you will get the added benefit of a release of endorphins in your brain which will give you a positive feeling. In a class setting, you will be moving with other students and you will also be breathing in unison with other students. In this communal activity, you can find that place where moving meditation begins. As with all meditation, you will benefit from the positive things that are happening in your brain when you are in this state. As you move with your class, there is a rhythm or flow that allows you to just move and not have to think and figure things out, disengaging the critical left brain for a while and allowing the right brain to play and experience. These flowing yoga routines will combine several poses together, flowing from one into the next, breathing fully and consciously as you move from one pose to the another After a few movements, you return to the first pose to go through the set again, repeating the movements, challenging you to build endurance, and cardiovascular strength. Because of the continuous movement involved with Vinyasa yoga, there is less emphasis on proper form in the postures. As you move without pausing, it is difficult for the instructor or yourself for that matter, to be perfectly aware of your form. This can lead to injury if you hyperextend or go too deeply into a stretch or simply do a pose with bad form. Be sure to be aware of the placement of your hands and feet and joints. If you need to, slow down or pause. This may seem difficult in a class setting, but an understanding instructor will not push students beyond what their bodies will allow. Yoga is not a sport so even though you may that aerobic benefit, proceed with caution so that you can continue to enjoy your Vinyasa practice. You may find it helpful to study the poses or take a separate class that emphasize the proper way to make the poses. Also, if taking a vinyasa yoga class, look for an instructor who will suite you and your needs. Consider what you want in a class. Do you want it to move quickly or fast? Do you want the instructor to give thorough instructions? Are you new to this or have more experience? All these things will help you chose the class that is best for you. A yoga lifestyle is much more involved than people may realize. It is more than just attending an exercise class or reading a yoga book. 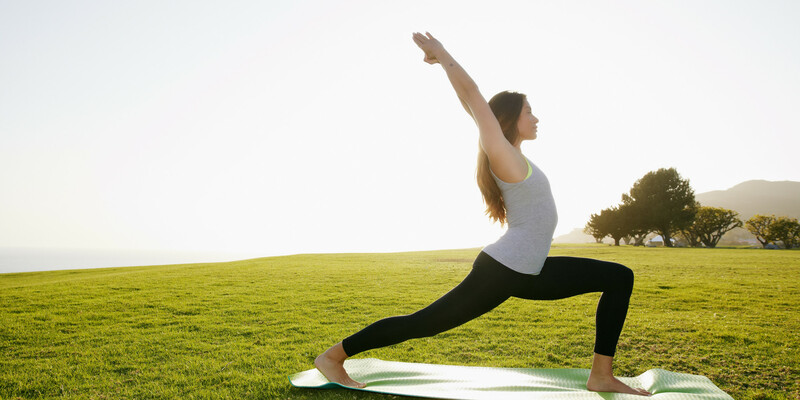 To achieve the ideal yoga lifestyle, one must combine various aspects of yoga. One of the key areas that you should consider improving is your health habits. Achieving a healthy life as a yogi has to be practiced like a habit. They say it takes 21 days to learn a new habit. In the same way, it takes the consistency of practicing healthy habits to achieve a yoga lifestyle. What are the healthy habits that you should pursue? Yoga without meditation is empty. Meditation is the basis upon which all yoga is built. When practiced properly, meditation has numerous benefits including connection of the mind and body, relaxation of the brain, improving concentration, and improving breathing. It is for this reason that almost all forms of yoga integrate meditation sessions in their routines. 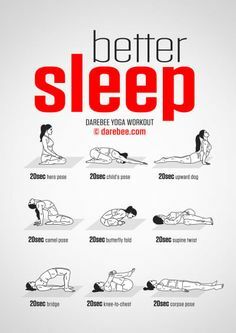 Other than the exercises that you engage in during a yoga class, staying generally active during the day is very beneficial. Movement helps the body stay young and nourished by rejuvenating body tissue. A combination of activities, like jogging with normal yoga poses, can offer countless benefits to the human body. Therefore, ensure that you stay active. While this may sound obvious, the benefits of doing this cannot be overstated. Eating well entails eating the right types of food and avoiding those with negative effects. Ensure that you eat foods that carry life force. These include nuts, fruits, whole grains, and plants. Avoid any food that will intoxicate your body or affect your health. Examples of these include processed or fried foods, refined sugars, caffeine, and alcohol. Yes, gaining knowledge is healthy. Whatever you soak into your mind in the form of knowledge will eventually transform you. To feed the proper passion in you, ensure that you watch beneficial programs, read enriching spiritual texts, and listen to inspirational music. Eventually, you will become a better person in life. This is a practice that most yogis engage in to live a toxin free life. It entails taking 2 to 3 teaspoons of coconut oil into the mouth and swishing it for about 15 minutes. Other than removing toxins in the mouth, it helps in smoothing the mouth and staying refreshed. There are many people suffering heart attacks in our day due to all manner of negative factors. However, developing a healthy and positive outlook in life can keep your heart healthier for longer. One’s perception in life largely defines the health of the body. Staying happy on purpose may seem simplistic, but it is an important part of a healthy lifestyle. A good exercise session may easily become wasted if the company you keep is toxic. Surround yourself with people whose goals are in line with yours. These are people who will encourage you to become a better person in life. Overall, seek to live a positive life, even in the face of adversity. This way, your yoga will transform your whole lifestyle. Astavrakasana or Eight-Angle Pose is a twisting pose while balancing on your arms in chaturanga as a foundation. Sounds frustrating already, right? But don’t be discouraged! The sky’s the limit. All boundaries are set in the mind. And when breached properly, will be shuttered for good. Let go of the false beliefs you have and allow the practice to open the sacred space of freedom. Make sure that your body is warmed up. Eight-Angle Pose strengthens the shoulders, abdominal muscles, wrists and improves balance. Be careful when practicing if you have any injuries in shoulders and wrists. This posture requires deep hip opening and a decent range of motion within the hip joint. One issue that can make this posture hard to approach is if one has tight hips. A good prerequisite would be mastering chaturanga with proper form to make balancing on your arms more easy and stable. It is a must to awaken your core. Gently open your hips and make sure your wrists are properly warmed up to safely get into the posture. Compass Pose. This pose will externally rotate your leg while opening your inner thigh. This is a good preparatory pose to directly warm the joints and stretch the muscles that you will need. How: Start on a seated position. Bend your right knee. Take your left leg up behind your left arm like you’re wearing a backpack. Adjust your left arm to help you stabilize as your right arm reaches out for your left leg. Slowly stretch the left leg using your right arm. Listen to your body and don’t force anything that hurts. 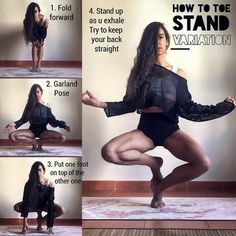 If this pose seems hard, go for Wide-Angled Seated Forward Bend. Open your legs straight while seated and gently reaching for the ground while keeping your back upright. Hold the pose for a couple of breaths. This posture teaches patience and instills composure. Builds the strength of the shoulders, wrists, the upper body and core. Slowly and safely progress. Do not bring your ego onto the mat. It’ll cause injuries and will make your journey a lot harder. How to properly approach the posture? Start in a seated position. Bend your right knee and tuck it to your chest and your left leg behind your left arm. Let it rest on your left triceps; do not tense the muscles on your leg. Interlock your feet, left feet on top of right. Lift yourself up as you take deep inhalation and exhale as you bring your weight forward positioning your upper body in chaturanga while your feet are locked. Take deep breaths while holding the pose and release. The journey of Yoga is a physical practice with a spiritual intention. Though Eight-Angle Pose may seem a little intimidating, it will take patience and effort just like all other things in life. Set a good intention and an open mind and allow the practice to mold strengthen your body and mind.